1 in 5 Americans experience mental illness every year. However, for minorities, this number is exacerbated by the obstacles of cultural stigma and less access to care. Maintaining my personal mental health has been a private journey for the majority of my life as is for millions of other Americans struggling with mental illness diagnosed and undiagnosed. However, the time is now to begin bringing this subject into forefront and demystify what can often times be seen as an intimidating and uncomfortable discussion. Mental illness does not discriminate, thus we do not have the luxury to do so either. 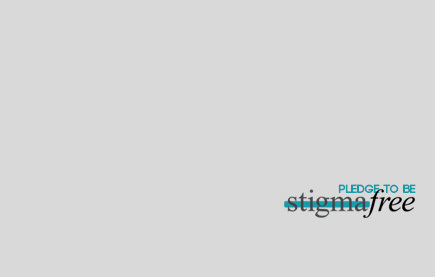 Take the Stigma Free Pledge with the National Alliance for Mental Health and learn about those suffering with a mental illness. Encourage others or share your own personal story.